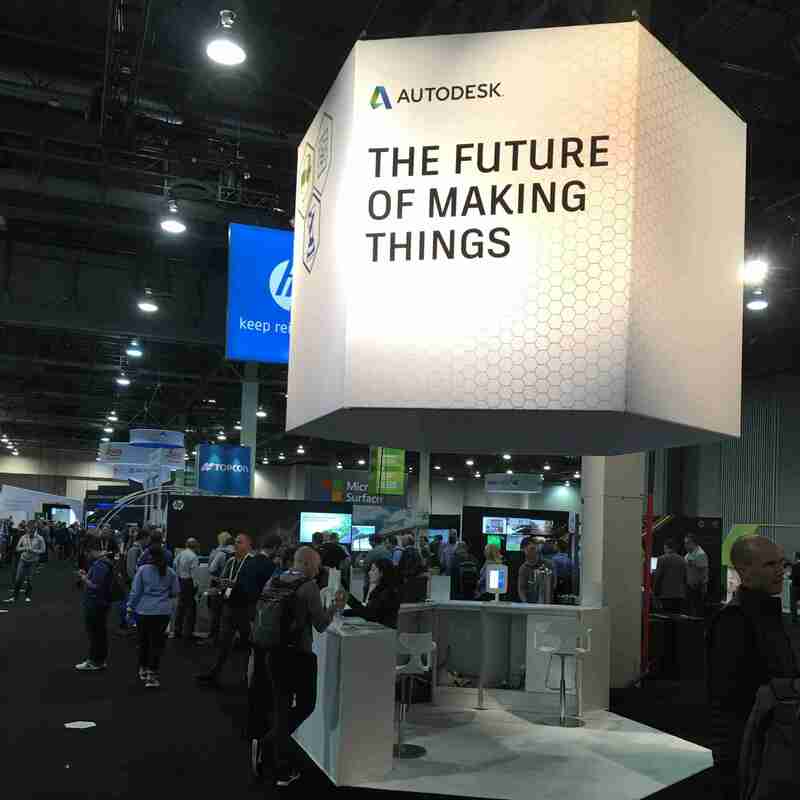 Last week we were at the Venetian in Las Vegas for what has to be the biggest spectacle in the CAD business — Autodesk University. While other cities could handle the crowd and serve as venues for AU, Las Vegas has been the destination for the annual event for a long time. Vegas is big, bold, easy to get to, and just a lot of fun to be around, even if you’re not into the “Vegas Lifestyle” — gambling, smoking, etc. AU takes place at an odd time of year because it immediately follows Thanksgiving and is about four to five months prior to the new versions of Autodesk products being released. That said, though, there are always interesting product announcements made at AU. Autodesk Fusion 360 – Released, But Ready For Production? After several months in Beta, Autodesk today officially and commercially released Fusion 360 (formerly known as Inventor Fusion) — the newest member of Autodesk’s growing cloud-based products/services family. Essentially, Fusion 360 is a conceptual design tool. I liken it to a relatively simple modeling tool where CAD meets social media for collaborative design. As an industrial designer myself, I was especially interested in what Fusion 360 could do as a conceptual design tool, so I signed up for the Beta program and had some hands-on time with it. Fusion 360’s interface is pretty basic, so it doesn’t take long to start creating some shapes and forms. Keep in mind that a lot of 3D form creation is based on T-Splines technology (that Autodesk acquired), so it’s different than Inventor’s method. For conceptual design, you’ll probably spend the majority of your time in the Sculpt (for creating organic forms) or Model (for creating solid geometry forms) workspaces. For repairing imported surfaces, you’ll use the Patch workspace. At least initially, a slightly different mindset is required for using Fusion 360 because it is based on a hub-and-group premise. At the center is your personal hub, where you can create and participate in groups, and post items to, and monitor them. Each hub and group has a similar set of tabbed pages with areas called tiles that contain related information and tools. There’s a lot to learn and cover in Autodesk Fusion 360, and in the coming weeks, I’ll take you through some different design workflows that involve interacting with others — importing data, creating different types of models, refining designs, exporting design data to other CAD applications for other purposes, collaboration, etc. In other words, what you can realistically expect to do with Autodesk Fusion 360. OK, so Autodesk Fusion 360 is just outta Beta, but is ready for prime time? With some reservations, I would say yes, no, and maybe. How’s that for commitment? I think it all depends on what your expectations are and how hard you want to push it. Admittedly, it’s come a long way, but in my opinion, still has some maturing to do before I’d truly consider it production-ready for sophisticated design purposes. I like the potential of cloud-based applications, but like Adobe’s Creative Suite, I’m still coming to grips with the perception of data integrity and vulnerability, as well as a perpetual monthly fee. I guess, like many new users of cloud-based applications, I just have to get used to the inevitability of this brave new world. That said, though, with Version 1.0, Fusion 360 does have some limitations, but its potential is tremendous.